M. Night Shyamalan’s Glass doesn’t fail because it’s nineteen years too late after Unbreakable. Or because Split and Unbreakable had no business colliding. 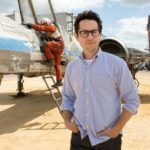 Glass fails because Shyamalan unenthusiastically satirizes, piggybacks, and cashes-in on modern superhero hype – all at once – inside a contained (see: suffocating) prison that generically dispels the extraordinary via provable logic or vice versa. Plus there’s a The Boys/Watchmen riff which compares unfavorably against better executions of superheroes being “kept in check” (damnation of the “weird” and “different” no more!). Succinctly summarized, no movie featuring a 24-follower “Horde” of personality, an impenetrable senior citizen, and one frail mastermind should be even half as monotonous as Glass. Months turned to years since we last witnessed David Dunn (Bruce Willis) in action, but when Kevin Wendell Crumb aka “The Horde” (James McAvoy) continues slaughtering young teenage girls, the home security specialist canvases Philadelphia for clues. His pursuit leads to a confrontation that’s broken up by Dr. Ellie Staple (Sarah Paulson) – and a squad of armed security. Dunn finds himself shackled alongside ”The Horde” and “Mr. 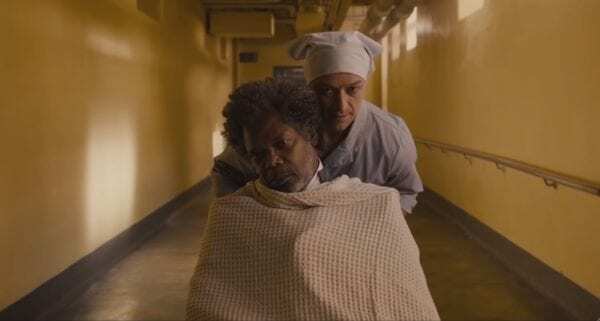 Glass” (Samuel L. Jackson) in Raven Hill Memorial Hospital since Staple intends to psychoanalyze three men who believe themselves to be superheroes. Sworn enemies, countless “delusions,” a few “inescapable” cells – yes! Everything will go wrong. Raven Hill’s escapist excitement relies heavily on James McAvoy’s Dissociative Identity Disorder portrayal. From Southern jabberjaw Luke to nine-year-old Hedwig to Jade the bendable seductress, McAvoy’s Rolodex of impersonations effortlessly flips with a blink of light. Glass is only ever benefitted by “The Horde,” even if horror elements from Split are downplayed given Dunn’s action-ready adversary. 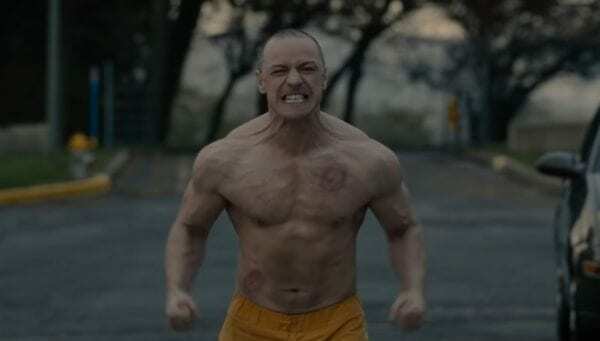 From sophisticated den mother to deltoid-bulging creature to Irish twin (playing both at once), McAvoy crams an entire psyche ward into Crumb’s overloaded cranium and his own supercharged performance. Each character a different gate, saunter and physical showcase. Infinitely more proficient than the SNL demo reel it sounds. Everything else? Splintered shards scattered across the floor reminiscent of something more engaging. Jagged to the touch, incapable of being pieced together. Elijah Price – aka Mr. Glass – voices Shyamalan’s exposition through meta-as-heck blurts of *obvious* archetypal comic book storytelling. Do all the main characters congregate outside Raven Hill’s doorstep at the *exact* same pre-climax moment without prompt? Does Jackson then stare the camera down and announce, “Now the main characters have assembled!” [Wince.] Of course, to suggest subtlety’s a death sentence. Behold Shyamalan’s grandest trick. Announce advancement and development through Mr. Glass’ obsession with superhero page-turners. Adversaries taken into custody, an uprising to showcase power, the inevitable boss battle (all in “limited edition” form) – unwelcomed from square one, but Mr. Glass rambles on into stagnation until eyes have rolled back to reveal only whites. Glass is blown into a sloppy misshapenness given how significance is attributed to the unexplained, or how scenes fumble coherent tonal shifts from dark energetics to whimpering interrogation games. Casey Cooke (Anya Taylor-Joy) brought back for an unfairly melodramatic Beauty And The Beast arc. Spencer Treat Clark playing Willis’ deadpan “guy in the chair” son who denies his dad “walks.” Charlayne Woodard as Elijah’s overprotective mother who mimics how her boy perceives reality through visionaries like Stan Lee. Hell, a *pivotal* climax hinges on Raven Hill’s chattiest nightshift orderly droning on about “Vitamin D” and drinking enough water to the security detail on-call like that’s not a hilariously inept attempt at plot contrivance. All this ON TOP OF Dunn, Mr. Glass, and “The Horde” grumbling at one another while locked behind what appears to be school classroom doors. High-security my numbed behind – blank painted walls, steel doorknobs, and, like, one lock? What a criminally underplayed waste of mythology that so sneakily tries to overturn trump cards like “this is an origin story” to suggest maybe twenty years from now this three-way culmination will finally achieve cinematic merit. 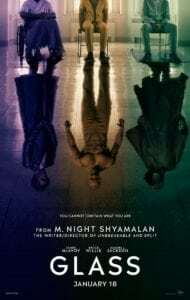 It’s not hard to understand how Mr. Glass’ words are a rallying cry for shunned outcasts, but what Shyamalan fails to do is separate his heroes from villains (despite glowing signs over colorful shop racks). Paulson’s “explain away” schtick is brainless and uninspired when putting those “different” from us in a corner – threatening Dunn with hydration saturation, or “The Horde” with strobe walls. 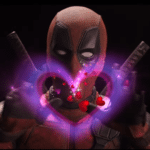 At two godforsaken hours, our lasting impression is that *nothing* matters besides “Hey, you, you’re special!” Which in the grand scheme of things may sound prolific – positive messaging at plus – but not at the expense of vastly more dynamic characters boiled down into pseudohero boredom. No one can fault M. Night Shyamalan’s ambition, but this is what happens when you play with fire (anger) and water. My audible sigh count registered off the charts throughout Glass. Nothing McAvoy conjures can undo Samuel L. Jackson’s meta-comic book exposition dumpage, or dumb-as-doornail nurses, or imbalanced thematic colorization that convolutes subgenres, or inept cutaway action brawls, or the most arduous – and expected – plotted superhero beats (no more interesting when stated clearly by your deranged antihero), or – you get me. Shyamalan’s imagination has painted wild and unnerving sci-fi horror tapestries before. Unfortunately, Glass is far from The Sixth Sense or The Visit.